National Windscreens has been providing Australia with the fastest and highest quality windscreen replacements and repairs since 1987. With over one hundred fitting centres and hundreds of technicians strategically located throughout Australia. 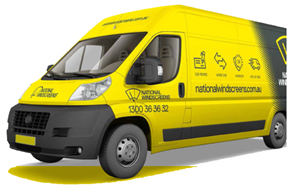 National Windscreens has repairers across Australia to provide customers with the security of knowing that wherever you are, we are too. This makes National Windscreens, Australia’s largest and most successful independent windscreen company. National Windscreens has tactically partnered with other successful independent Automotive glaziers to operate as National Windscreens Approved Repairers. This enables us to have the largest fleet of Automotive glaziers and respond quicker response than our competitors. We pride ourselves on our local knowledge and experience, and our policy of always providing our customers with superior, personalised customer service, competitive pricing and a level of quality workmanship that is second to none. So much so that all our work is covered by our exclusive lifetime guarantee. We offer the convenience of both workshop and rapid response onsite services with our 24 hr 7 days a week service. At National Windscreens we believe in doing the job right the first time, guaranteed.